Transworld Endless Skater by SuperVillain Studios is a skateboarding game of the endless runner type. This hack has a lot cash and contains no ads. Play and perform insane tricks, combos, unlock your favorite characters, and become a pro skater! If you're a fan of Tony Hawk's Pro Skater series, then you'll instantly get addicted to this one featuring the same gameplay mechanics, with unique graphics and real pro skaters to unlock as you play. You earn coins as you progress which will help you upgrade your stats. 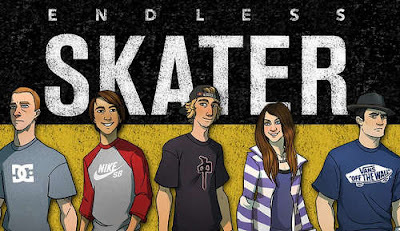 Real money is needed to play but Transworld Endless Skater v1.18 mod apk will take care of that as it has unlimited cash and removes all ads. You'll need a lot of coins to unlock the five licensed skaters like Danny Way, Sean Malto, Lyn-Z Adams Hawkins, etc. Now grab the game below and have fun! - Fixed startup crash on 64-bit devices, including the new Nexus phones! - Fixed bug that prevented the saving of progress on some devices. - Added support for Standard MFi controllers. - Simplified lane change controls. - Added Trick Box Helper Icons. Install the apk and play. For more info and screenshots visit the official Google Play page.